In a special interaction with People Matters, Pallavi Srivastava, Asia Pac & Greater China Talent Leader, Global Technology Services, IBM shares her perspectives on the evolving notions of talent and workplaces, the talent landscape in the South East Asian region, building a future-ready workforce, and the role that HR plays in strategic business growth. Pallavi Srivastava is the Asia Pacific & GCG Talent Leader for IBM Global Technology Services. In this role, she is responsible for leadership development, organizational and account-based succession planning, leveraging talent analytics for defining and executing strategic initiatives, fostering engagement and high performance culture across the units. Prior to this role, Pallavi was the Country HR Leader for IBM Singapore and was responsible for talent development and enhancing IBM's position as an Employer of choice in Singapore. Pallavi holds more than 23 years of experience in the field of Human Resources across areas related to HR strategy, HR Analytics, Corporate mergers & acquisitions, Leadership talent acquisition and succession management, executive compensation and leadership development. 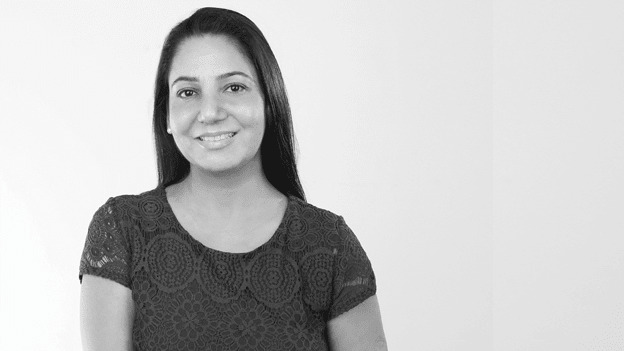 Pallavi has held several portfolios with IBM’s internal HR and HR consulting units and worked in India and US, and now based in Singapore for past 10 years. A passionate believer in leveraging technology for HR solutions of the future, Pallavi has been closely involved with IBM’s HR transformation journey towards cognitive-enabled HR offerings. Pallavi has received the Business HR professional and Global Compensation & Benefits certification from Cornell University and is certified by IBM for Design Thinking, Agile and as a Cognitive HR practitioner. Pallavi was featured in the HRD Magazine’s HRD Hot List in 2017. In your extensive experience across the HR spectrum, how do you think the notions of ‘talent’ and the ‘workplace’ has evolved over the years? From a talent perspective, apart from the demographic changes (that have resulted in four generations working together and youngest Gen Z soon to come in) the mix of talent has changed from many other standpoints. In the global business environment and in particular MNCs like IBM, we are now seeing a significant diversity of cultures/ethnicities at the workplace. Another particular positive trend that I have observed is that the concentration of women in the talent mix and the workplace has significantly grown and there is more women engagement in technical domains, C-Suite positions, and in corporate boards than before. With the onset of digital technologies, there is also the proliferation of the gig workers and more people working remotely, on contractual basis or simply on projects. But the most recent talent trend is the rise of the New Collar workers, a word coined by IBM CEO Ginni Rometty, which involves hiring and developing talent that works in the contemporary tech industry, but it is the talent that does not hold the traditional/formal 4 year college degree — this talent is about skills and competencies that are obtained through vocational training. I see this trend becoming more pervasive in the coming years. And as the concept of talent has evolved over the years, so have the workplaces. We have gone through the whole gamut of formal office space to remote and work from home, from closed office cubicles to agile and open workspaces, from meetings happening in conference rooms to meetings on WebEx and zoom, and now the co-working spaces. Although the new ways of working have brought along their own set of challenges, these are in turn defining the trends of how teams and work are getting organized, and how structures and hierarchies get defined. In today’s day and age of tech disruption, do you think organizations are doing enough to create a future-ready workforce? One of the key realizations of technological disruption has been that no one organization or unit can have all the capabilities required to create the readiness that is needed. It has to be a joint effort and we have to operate and leverage the ecosystem of tech partners, collaborators, and experts to build the skills for the future. Both the governments and the education sector are increasingly realizing that organizations have a key role to play here and we see many such projects coming up to support the building of the future-skills. In Singapore early this year, IBM launched the Pathways in Technology P-TECH program in partnership with the Singapore Govt and several polytechnic colleges in Singapore for early college and high school students where they get an early exposure to jobs in the Information and Communication Technology and other STEM disciplines. The main objective is to create a future-ready workforce through early exposure to technology and its offerings. In India too, we have launched a first-of- its kind New Collar curriculum in collaboration with the Ministry of Skill Development & Entrepreneurship (MSDE) in 2018. The two-year Advanced Technical Diploma Program, co-created and designed by IBM, will be offered at the Industrial Training Institutes in Hyderabad, Bangalore and NOIDA to create a job-ready workforce and to build the next generation of skills needed for New Collar careers – positions that do not always require a college degree but rather sought-after technology skills. The program will include industry relevant courses on hardware maintenance, web development, cloud-based development and deployment, analytics and soft skills training and students can seek admission post 12th grade and will be offered internship opportunities at IBM. Such partnerships are crucial in ensuring that the skills and capabilities for the future are planned for, and available when needed. While almost all jobs will be affected in the era of technology disruption, there will be ample opportunities for employees to avail themselves of training needed to work in the new jobs that will get created. I personally believe that the scare around jobs going away is overstated. We need to ensure that our workforce is ready to embrace technology that will enable them to operate efficiently and will make them more productive. The people who will struggle to get employed will be the ones who do not build their competencies in parallel with the new technology offerings in whichever function they belong to, including the HR function. Tell us about the skills landscape in the South Asian talent market and how is IBM differentiating itself when it comes to upskilling its workforce? Skills shortage in this tech disrupted era is a global phenomenon and the South East Asian region is not immune to it either. However, the reasons that contribute to skills shortage differ in the SEA region than its global counterparts. While some factors relate to language, others relate to the lack of digital literacy and inadequate focus on disciplines related to Analytics, Computer Science, and STEM fields. Leadership competencies too have changed and there is the need for more resilient and agile leaders who can thrive in uncertain environments, have the ability to transform operating models, and who are tech evangelists and are able visualize and harness the power of technology. IBM is attempting to scale its skills requirement through a combination of external and internal skills and research programs. A few years ago, IBM set up the Business Analytics Innovation center in partnership with Singapore’s Nanyang Technology University, and continues to partner with them on new initiatives. In India, IIT Mumbai will be part of IBM’s AI Horizons network – an international consortium of leading universities that is helping in AI research. Similar work is happening in other countries of South East Asia to create a string pool of talent to source from. Internally, we have a very high focus on upskilling and reskilling of our talent for future. For this, we leverage our AI-enabled learning platform, Your Learning, a platform designed for a personalized, self-paced learning experience that provides curated best-in-class content for all types of skills and competency training – from soft skills to core technical skills. We continue to invest heavily in our training programs to ensure our workforce is aligned with the strategic skill requirements, and we encourage self-learning that has really helped us to create a sense of responsibility in employees to scale-up their capabilities. While educational institutions have started to upgrade their curricula, the training needed for future skills is still very much in the corporate domain. Going forward, talent will look to their employers to provide these skills and this capability will be one of the key employer brand propositions. The pressures on the organizations and the workforce to glocalize have intensified. How is IBM navigating the volatility of the changing marketplace expectations? IBM, as a 107+ years old company, has always been ahead of the curve in adapting or transforming its business models and organizational structure to the changing needs; and have ourselves undergone transformation from a hardware to software, and now to a cognitive and Cloud Platform Company. We have been operating for decades in most of the 170 countries we currently have offices in, including all the growth regions. So we have a workforce that has been internationally mobile for the longest time and understands the challenges and opportunities of globalization. We operate in all the major industries and sectors in the world and are driving innovative changes for both social and societal impact through our technology platforms. Being one of the key inventors of the new AI-enabled technology solutions, we have been both the predictors of the technology trends as well as facilitators of tech who are helping businesses navigate the changes. To manage our own transformation, we have been focused on skills development and today 8 in 10 IBMers are equipped with growth-oriented skills for the future. We support our clients similarly, in their digital transformation journey through our Hybrid Cloud and Watson platforms. We also realized that one of the most important skills we need our leaders to develop is ‘resiliency’. Today, not only systems and platforms need to be resilient to survive the onslaught of new technology changes, but leaders, managers, and employees all need to build the ability to face uncertainty and volatility and still thrive. Hence, we have been focusing on training initiatives that build resiliency in our leaders and clients. But at the same time, IBM realizes the value of strong ecosystem and each of our country operations has robust connects and partnerships with industry bodies and governments to support national agendas. How do you think the human resources function is managing the disruption caused by technological innovation? HR is one function that has seen dramatic changes in its mission, vision, and operational impact in the past decade, not just due to shifts in technology but also due to the impact the softer aspects of the function have had on preparing organizations to manage the digital disruption. The role of the function has now changed to building insights around business and talent metrics, and leveraging such metrics to enhance employee experience and engagement. It is more purposeful around impact and outcomes than program execution. In the future, HR will see significant transformation with AI technology. The value it will provide to business in terms of analytics and automation will validate the investments made for such transformation. The possibilities of AI in HR are not just confined to chatbots, but also to harness the value of data and enhance decision-making capabilities. We see immense possibilities in the HR tech space and IBM has been one of the few organizations to transform its own HR leveraging its AI Watson platform. We have created innovative offerings across the whole value chain of Employee’s work experiences using Watson technology and its analytics capabilities. So much of the debate on AI is around bias. To address that, IBM also recently launched the Watson Recruitment’s Adverse Impact Analysis capability that identifies possibilities for bias on accounts of age, gender, race, education, or even the previous employer. All in all, readiness of the HR leaders and professionals to understand, embrace and then leverage tech capabilities will prove to be the differentiators. In this digital era, the value of HR can also be monetized for business growth but the journey should be via employee experience and keeping the human touch. In your opinion, how has the HR evolved to play a larger contributing role in meeting strategic business goals and growth? I do not think that the strategic value that the HR holds is debated anymore. Progressive CEOs have started to view their CHROs as people who drive growth and not just HR programs. More and more organizations are now realizing that HR is a business function like any other, and manages the most important resource of any corporation – its people. As such, the HR function now holds the mandate and the strategic muscle to bring changes to an organization’s growth trajectory. There is more alignment between people programs and larger organizational goals, and HR programs are now being designed to enhance employee productivity, employee engagement, positive work culture, talent retention which integrate with the organizational goal of delivering to the clients. I believe that in today’s day and age, an HR unit that does not play a direct part in the business growth is likely to be irrelevant. And for HR to make an impact, three critical skills are needed – understanding business metrics and its levers of growth, keeping a constant outside in focus in the function and the knowhow of what is available in the market, and having a consulting mind-set with high degree of HR analytics capabilities to infer insights from data and trends. When you look out over the next couple of years and prioritize growth, how do you view things in your own industry or sector? I think the tech sector is certainly more prepared for the impacts of digital disruption as in many cases we are the ones predicting and creating those disruptions. This sector therefore also has the larger responsibility and accountability to prepare the rest of the world for the upcoming changes – and so we will see other sectors seeking to learn and harness tech capabilities. Industry convergence has already been happening for some time, and almost all sectors are building technology arms for their operations. We will continue to see tech talent getting higher premium in almost all sectors. Cloud, AI, Blockchain and Quantum computing are the tech trends that will continue to revolutionize the markets. But having said that, talent in the tech sector will need to be a few steps ahead in terms of skills readiness and that will be a key focus. The speed at which technology is changing is creating gaps in the timely availability of future-focused skills in the market. So how does one hire for an environment that is predicted to get disrupted? Fungibility (in terms of skills and roles) will be a critical characteristic as organizations transform, and keeping skills current for the market will be one of the key differentiators from a growth perspective.